A drag racing website put Tesla Motors Inc (TSLA)’s Model S to the test and discovered that it cost only 6 cents to race the vehicle at 111 miles per hour over a quarter mile. There’s been plenty of debate lately about whether Tesla Motors Inc (NASDAQ:TSLA) can make it as a company and whether it will be able to successfully enter the mass market vehicle market. But there are certain things that just can’t be denied. Like, for example, how much it costs to drive the Model S, assuming you just paid cash for it up front and are only paying for the electricity to charge it. Drag Times took a closer look at just how much it costs to drive Tesla Motors Inc (NASDAQ:TSLA)’s Model S. The site tested the model with the 85 kWh battery and the Performance Package. 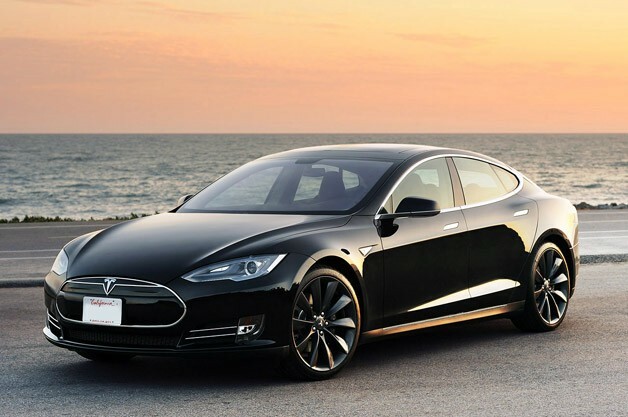 This is the most powerful of the vehicles sold by Tesla Motors Inc (NASDAQ:TSLA). It puts out 416 horsepower and 443 ft-lbs of torque. When they started a drag race with the vehicle, the battery was 82 percent full and showed an ideal range of 253 miles. They set the regenerative braking system to its max setting and then started the Model S. They started from a complete stop and shut down traction control before launching the vehicle. They ran a quarter of a mile “under full throttle”. The driver held down the power right after the quarter-mile mark and hit 114 miles per hour before letting off the “gas” pedal and then enabling the regenerative braking to stop the car without placing a foot on the brake pedal. The site said their measurements indicate that Tesla Motors Inc (NASDAQ:TSLA)’s Model S went from zero to 60 miles per hour in just 3.9 seconds and ran the quarter-mile at 12.4 seconds with an average of 111.3 miles per hour. In this short but high-speed trip, the vehicle consumed 1.1 kWh. However, .6 kWh was restored to the battery thanks to the regenerative braking system. That leaves .5 kWh in net energy usage on the quarter-mile drive. Since the race took place in California, it costs about 12 cents per kWh, which means that the quarter-mile drive in the Model S cost just 6 cents. So when you think about paying upwards of $4 per gallon for gas and compare the Model S to the gas guzzling sports cars that are on the market, there’s just no comparison in terms of energy costs.